and Norwegian in general have been successful. would not have to travel far to embark on their cruise. "People do not want to fly," Mr. Vanosmael elaborated. particular, the Hotel Director continued: "It is a big market. 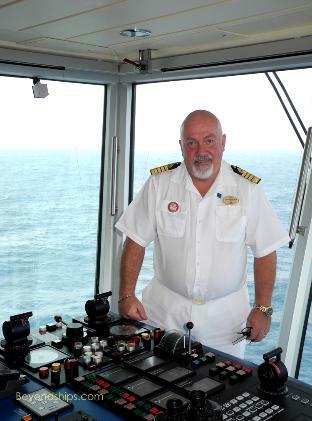 on a cruise relatively close by without having to fly." 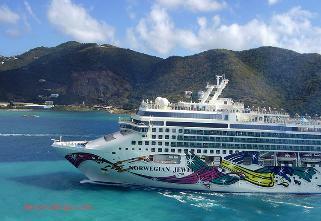 Norwegian Jewel can handle adverse conditions. 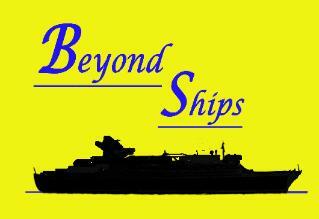 their cruise experience to their own needs and preferences. a city but we do have more options than the other lines do." 'sorry you can't come in because it is full?" stone," said Mr.Vanosmael. "It doesn't always stay the same. different and adding things. We change things every week." Blue Man Groups, Le Cirque etc." is part of the entertainment and part of the options." Another key to success is a people-oriented management style. 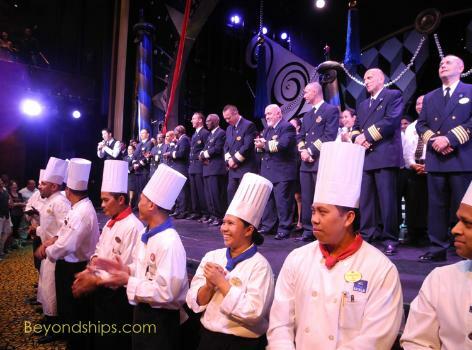 "If you have a happy crew, you have happy passengers." make them feel like a family member when they are onboard. see a lot of happy people onboard." and better." Mr. Vanosmael explained. summer and then in Miami, during the winter. 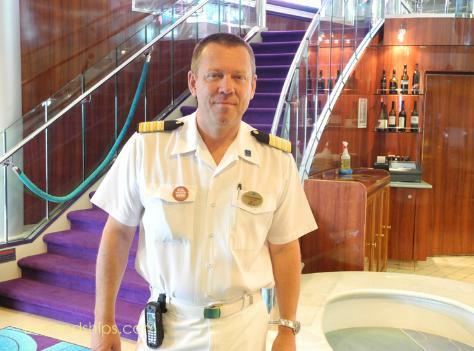 Captain Lars Bergstrom on the bridge of Norwegian Jewel. 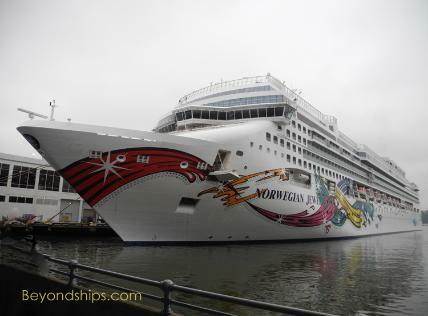 Passenger Ship Terminal in New York. farewell at the end of a cruise.